Good morning. It's Monday, Jan. 14. • The governor proposes a controversial tax on drinking water. • A Bay Area newspaper lays off almost its entire staff. • And unexpected beauty in a collection of vintage mugshots. 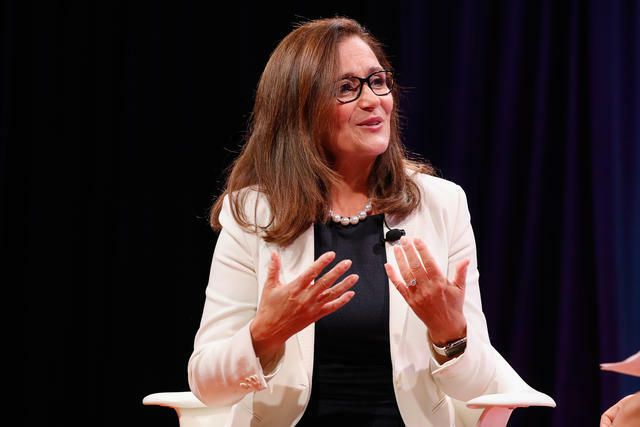 Geisha Williams, PG&E's chief executive, stepped down from the embattled utility. PG&E equipment sparked about 1,550 fires in the three years beginning in 2014 — more than one a day. The embattled utility now faces billions of dollars in legal claims, the specter of bankruptcy, and potential criminal charges. "It's an organization facing collapse," a former regulator said. In the latest sign of disarray, the company announced Sunday that its C.E.O. had resigned. 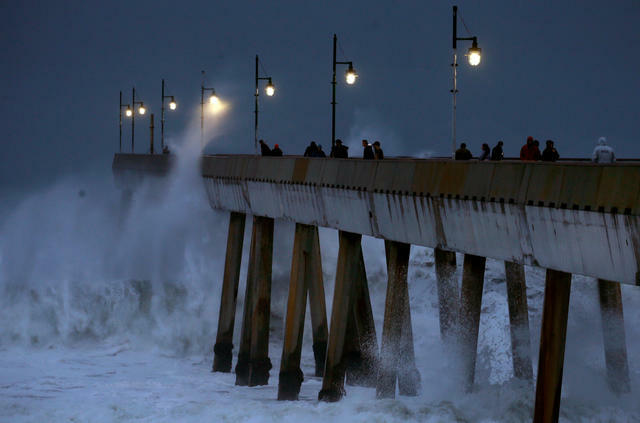 Waves rolled under Pacifica Pier as a storm approached in December. There will be no day from Monday to Thursday when a significant part of California is not being doused by rain or snow, forecasters said. San Diego, for example, was expected to get up to three inches of rain — more than it typically gets over the whole month. The high Sierra could see seven feet of snow. Emergency officials urged several communities in the vicinity of burn areas to evacuate. 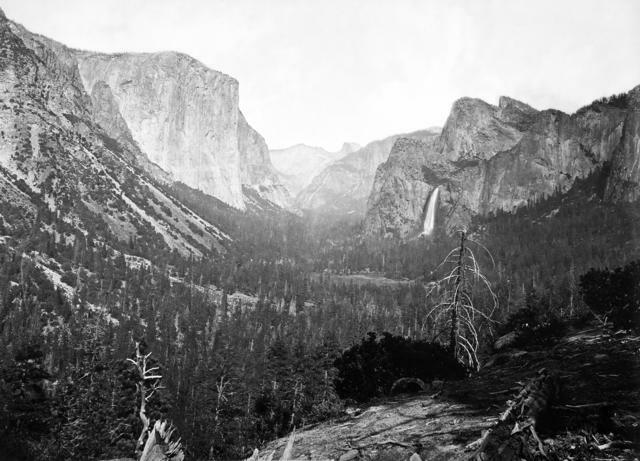 When President Lincoln laid eyes on photos of Yosemite Valley he declared it untouchable, the first protected land in the country. Early California photography exerted a powerful pull on America's imagination. Later, a different style of photography emerged, one fixed on plundered landscapes — a sort of anti-postcard. Sophie Haigney at Popula wrote a thought-provoking piece on the myths represented in the "California Photograph." 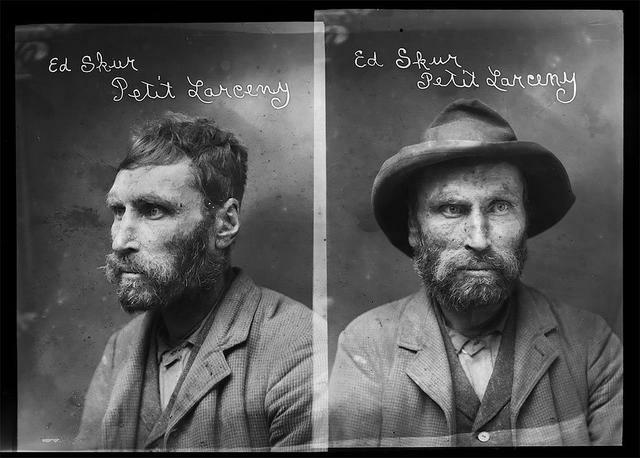 An artist discovered a box of negatives containing hundreds of mugshots captured in a small Central Valley town in the early 1900s. He developed the images and scoured newspapers for information about the subjects for a book titled "Prisoners." An arts writer said they possess "a shocking beauty." Here are a couple collections of the photos. 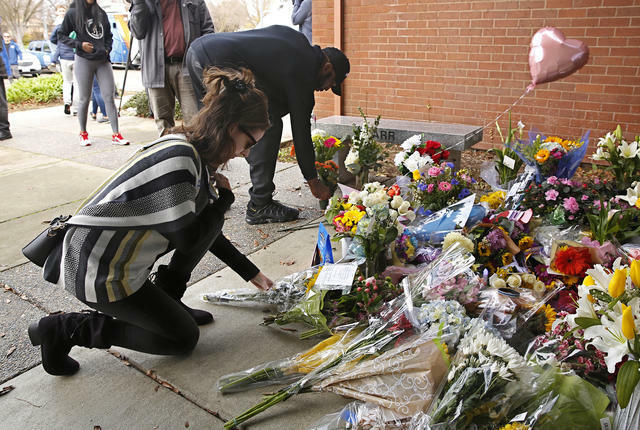 People placed flowers outside the Davis Police Department for slain officer Natalie Corona. The suspect in the killing, who was found dead, had complained that the police were blasting him with "ultra sonic waves." Davis Enterprise | A.P. A mass drug overdose at a Chico home that left one man dead and 12 others hospitalized appeared to have been caused by fentanyl, the police said. The drug, a synthetic opioid that can be 100 times more potent than morphine, has been increasingly showing up in drugs like cocaine and meth on California streets. The East Bay Express is known for aggressive accountability journalism. 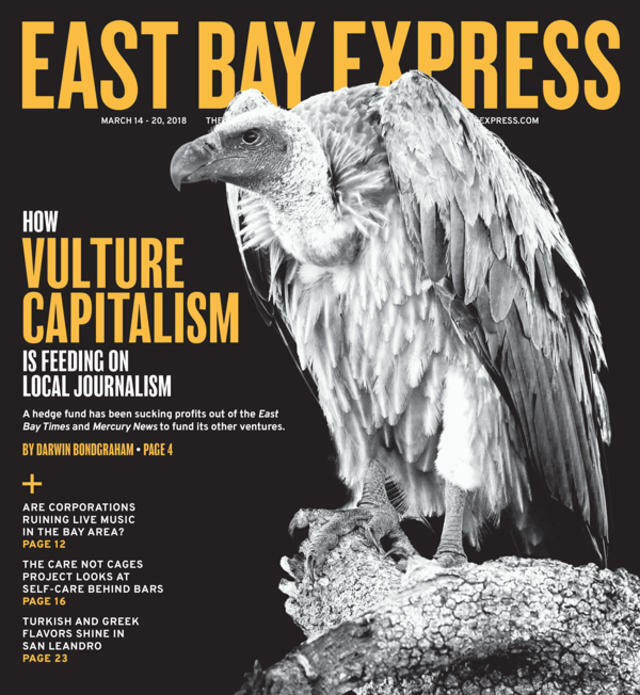 The East Bay Express, a journalistic pillar in the Bay Area for four decades, laid off almost its entire editorial staff. Robert Gammon, the paper's editor, said the Express had been running a deficit as print advertising revenue declined. Compounding its troubles was a recent court ruling that the paper had illegally denied overtime to a former employee who was asking for $750,000. 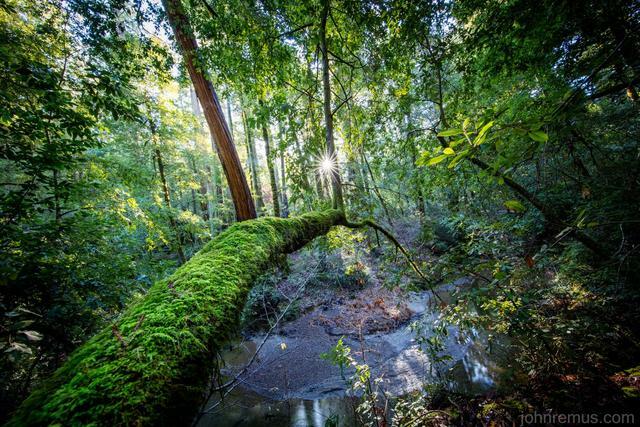 This is Big Basin Redwoods State Park, located in the heart of the Santa Cruz Mountains. The area's moderate temperatures, winter rain, and frequent fog make it a paradise for coastal redwoods. At nearly seven square miles, Big Basin is among the world's largest stands of the old-growth trees, with specimens that rise as tall as the Statue of Liberty and date as far back as far as the Roman Empire. The bells at Mission Santa Clara de Asís have rung every evening for more than two centuries. 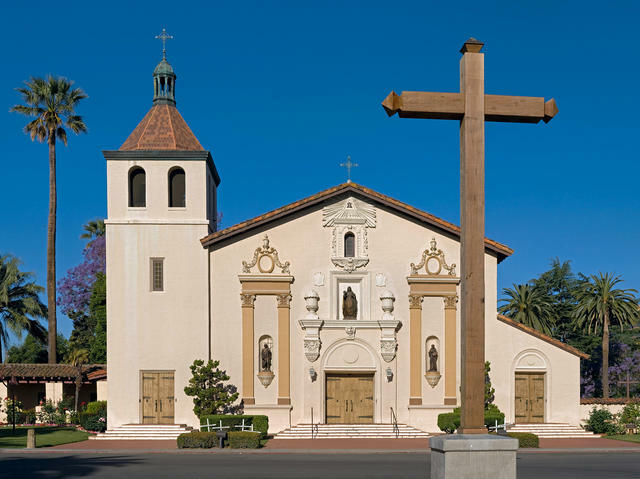 Mission Santa Clara de Asís just marked the anniversary of its founding in 1777. The Spanish mission is notable for its firsts. Transferred to the Jesuits in 1851, it established the first institution of higher learning in California, Santa Clara University. The mission is also the first in California to honor a female saint, St. Clare of Assisi, who serves as namesake for the city, county, and university. 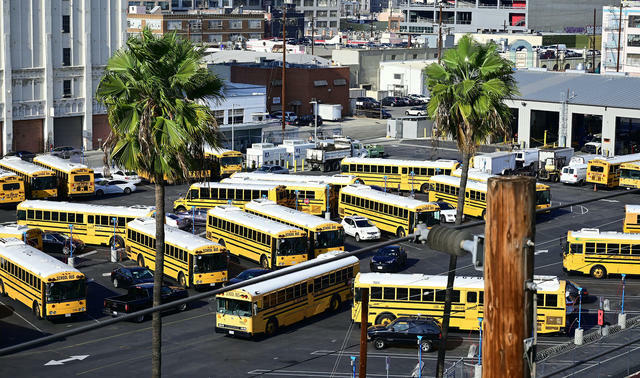 School buses parked in Los Angeles. A teachers strike would be the first in 30 years. More than 30,000 Los Angeles teachers were set to strike on Monday after contract negotiations failed. "We are more convinced than ever that the district won't move without a strike," a union leader said. Among their demands are bigger paychecks and smaller class sizes. The district plans to keep schools open with substitutes and district staff. The Los Angeles Zoo said it would let kids in free. An F.B.I. investigation into a Los Angeles council member is part of a broader corruption probe that involves other city officials and business figures, a federal search warrant showed. Investigators were seeking evidence related to an array of potential crimes, including bribery, kickbacks, extortion, and money laundering involving 13 people. 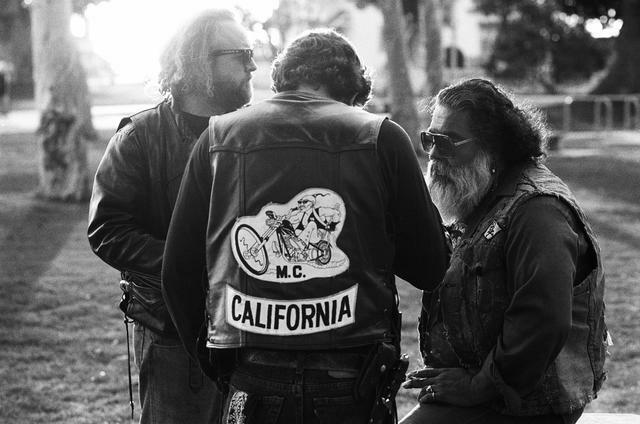 Members of the Mongols motorcycle club in a San Pedro park in 1991. After a decade-long quest by prosecutors, a federal jury ordered the Mongols motorcycle club to forfeit its rights to the Genghis Khan-style emblem that identifies the organization. The logo has been associated with the Mongols since their formation near Los Angeles in the 1960s. Prosecutors hoped to shatter the visual identity of the group known for drug dealing and violence. 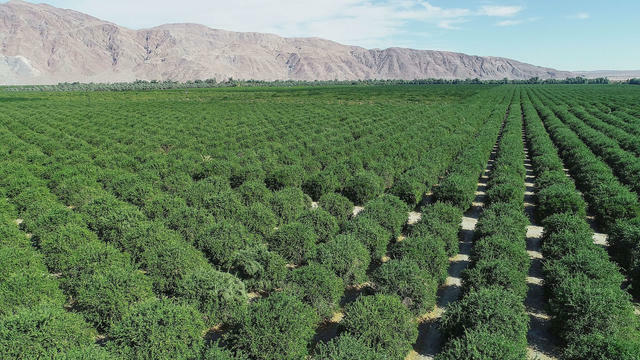 Farms in Borrego Springs face an uncertain future. Water from underground aquifers made agriculture possible in a swath of desert east of San Diego. But after decades of overpumping, it's unclear how much longer the farming community can last. California law requires the pumping be reduced by roughly 75 percent over the next 20 years, threatening to dry up potato fields, tangerine groves, and palm-tree farms. "Can agriculture survive?" one farmer said. "Yes, but not in its present form." A San Diego television station accused CNN of dropping an appearance by one of its reporters after learning that the person's reporting didn't fit an anti-border wall narrative. Several prominent Republicans, including President Trump, seized on the report as evidence of media bias. CNN rejected the accusation by KUSI, saying numerous reporters were contacted about a segment but none were ultimately booked. "That happens every single day," CNN said. KUSI later acknowledged that it didn’t really know why the network turned their reporter down. Get your California Sun T-shirts, tank tops, and sweatshirts over at Cotton Bureau — also available in kids' sizes!